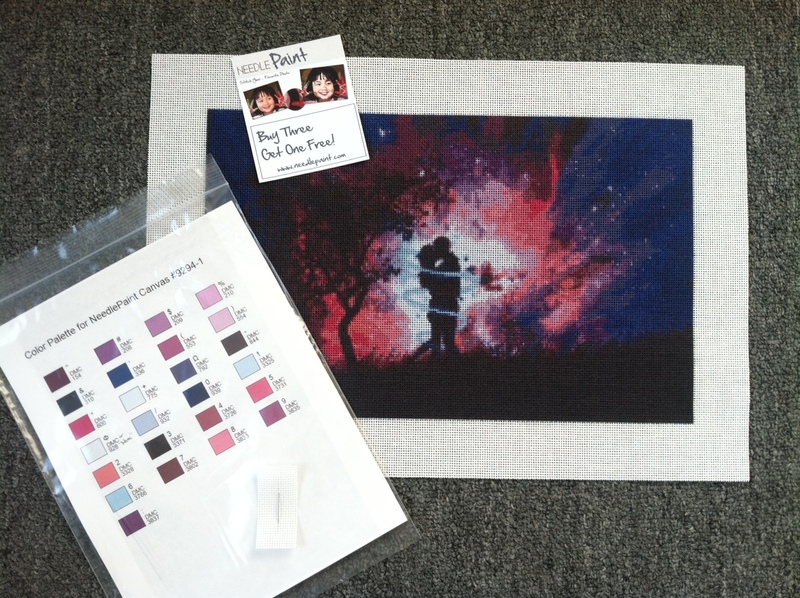 This custom needlepoint kit project came in last week, and is being flown half way around the world! 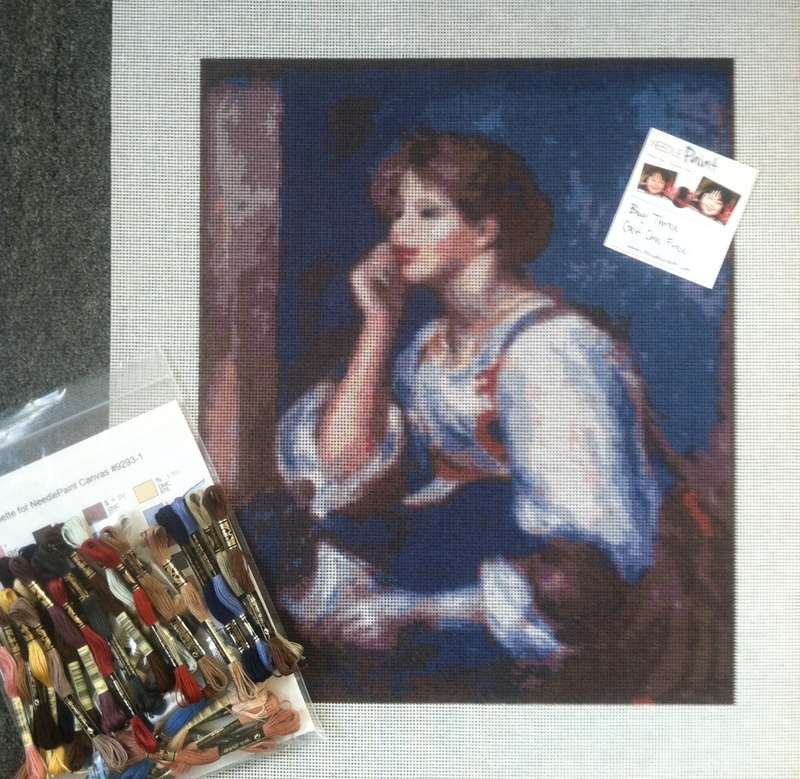 The customer contacted us to see if we can do our stitch counted needlepoint process from a photo of artwork from a museum in Paris. Lucky for us, we have just started experimenting with penelope canvas (sometimes known as double mesh) and found that while not as good as mono, it does come out pretty well. See the attached images! The issue to be aware of with the stitch counted needlepoint on penelope canvas is that we can’t single out the petit point stitches. But, this was OK for our past few customers as they just prefer to work on penelope canvas and said they will add small details if they think it is needed. We picked a winner for our free needlepoint canvas contest back on June 6th. We finished the canvas last week, and we wanted to show what great ideas for needlepoint designs can be made using NeedlePaint.com! 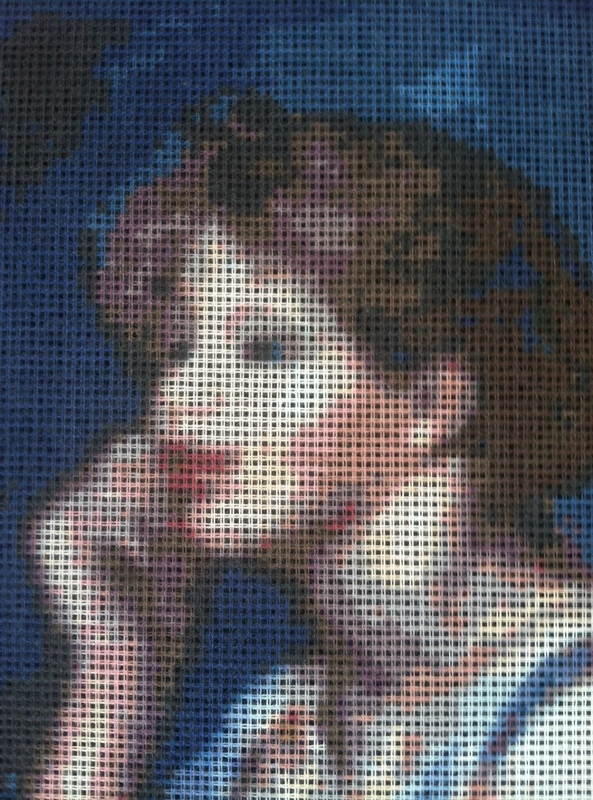 Needlepoint kits can be made from photos, royalty free artwork, or designed using your favorite computer programs. If you have an idea and want help, just call or email us, and we’ll get started. You don’t pay until after the design and price have been approved! We love making custom needlepoint kits here, and a few weeks ago, we had a fun summer needlepoint design come up. 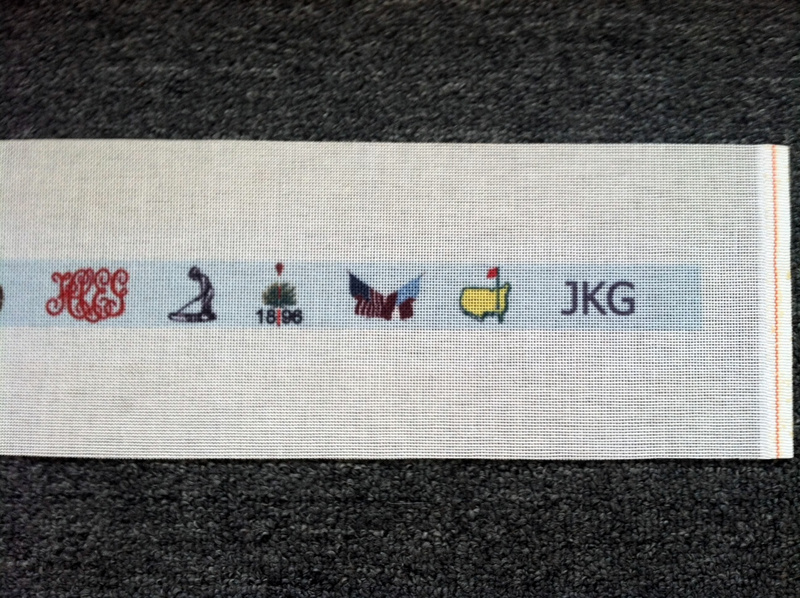 The customer wants to make a needlepoint belt for her husband, and after seeing what was available, she really wanted to stitch something special and personal. She emailed us a bunch of her husband’s favorite golf clubs and we took it from there. 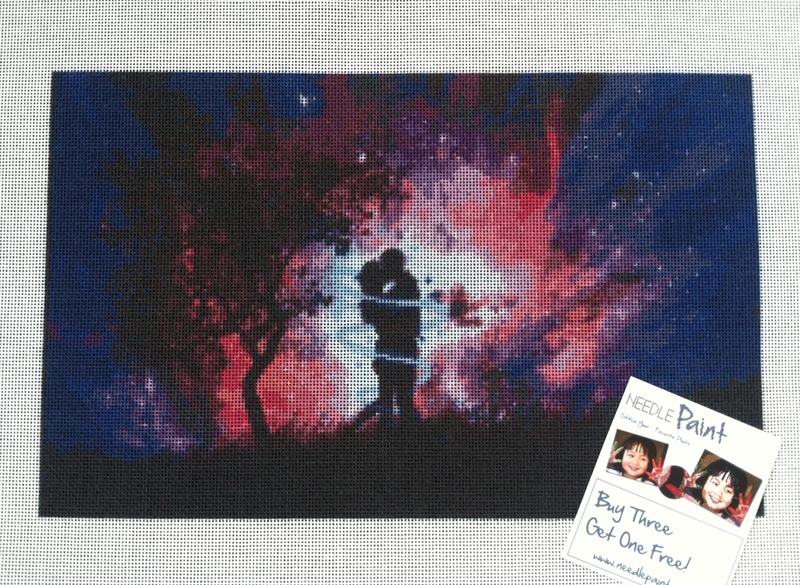 Take a look at how well her custom needlepoint canvas turned out! Belt canvases run around $50.00 and if you want us to do the design there may be an additional $15.00 design fee. We made this coat of arms custom needlepoint kit a few weeks back and it came out great! The customer really loves it, and was looking forward to getting started on the project. 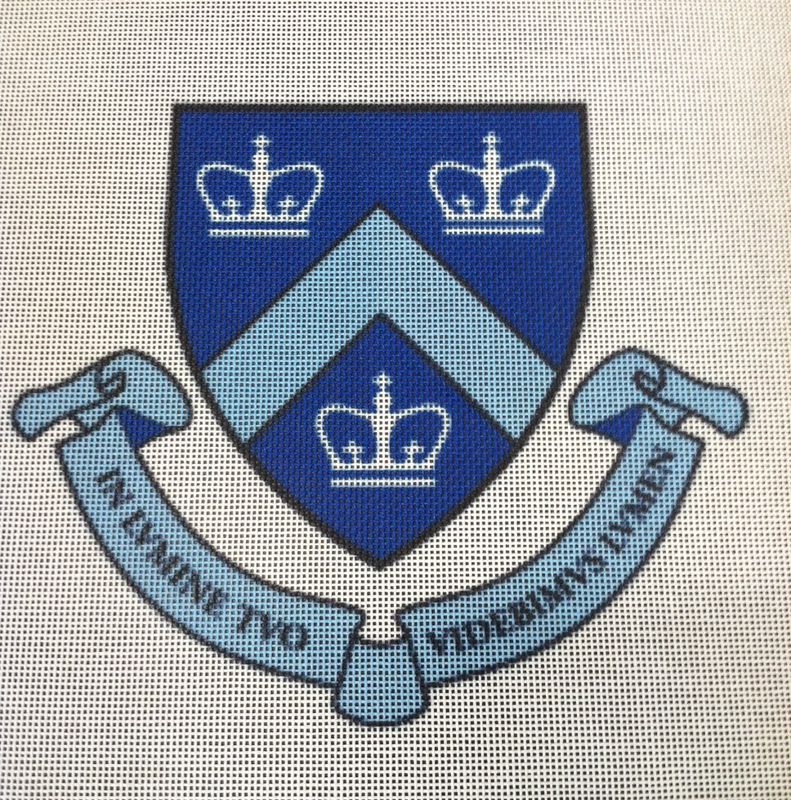 Coat of Arms are one of the most popular needlepoint designs we make. Since most of NeedlePaint’s orders are for custom needlepoint kits, we really excel on projects like this. If you have a coat of arms you would like to stitch (it can be from a family or a university you attended), you can mail or email us the picture and we’d be happy to make a preview for you. And, if you want our help looking up a coat of arms, we are here and happy to assist! Also, if you find the website is not getting the design and colors to look as well as good as you would like, just email us and we will fix it up! One of our customers wrote us recently, and was asking if we had any recommendations on good stitches to use on her dog needlepoint kit. Luckily Peggy has some good ideas, and even created her own stitch which you can see below. This is her reply, and as usual, her reference pages are from The Needlepoint Book by Jo Ippolito Christensen. 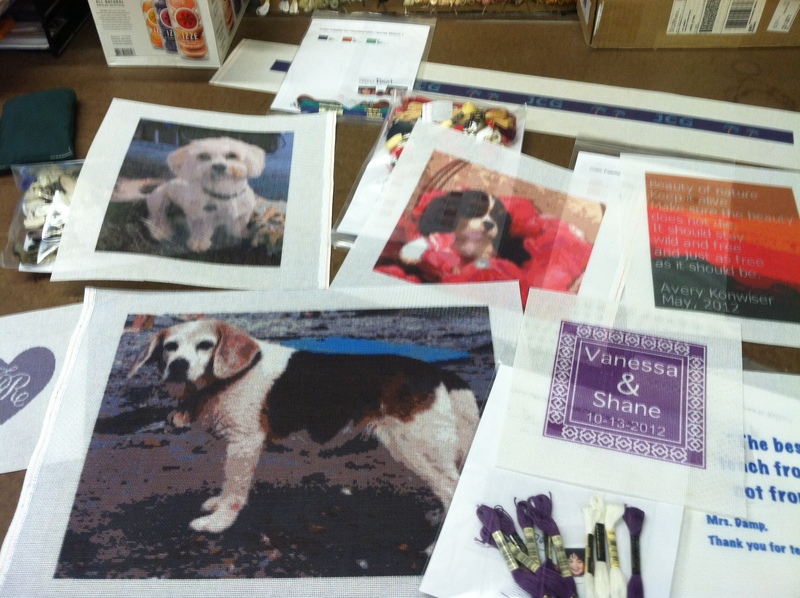 I thought that since we make so many dog and cat needlepoint kits, that this post would be a good one to share! 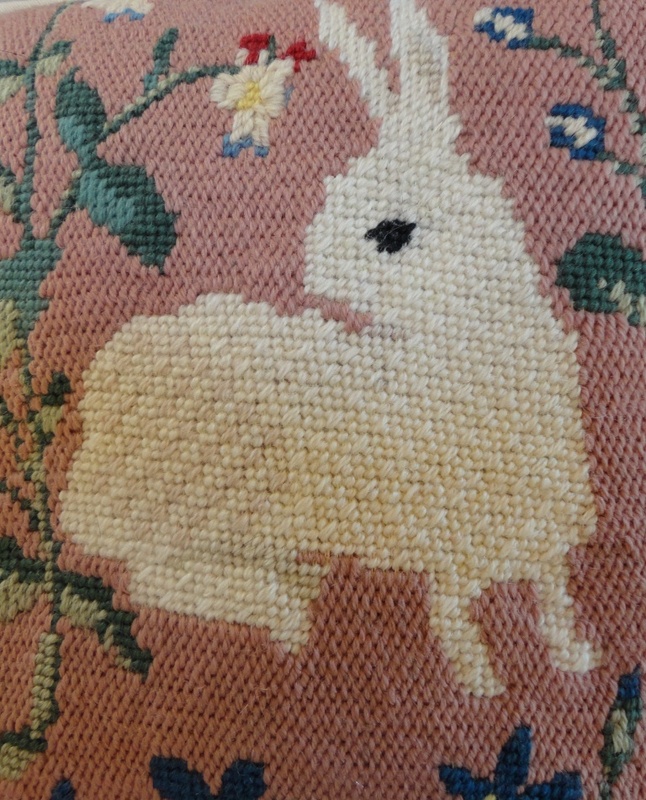 Rabbit is done in Mosaic Checker (pg 215) form The Needlepoint Book. Additionally, the haunches are done with two different colors of thread which are very close in color. 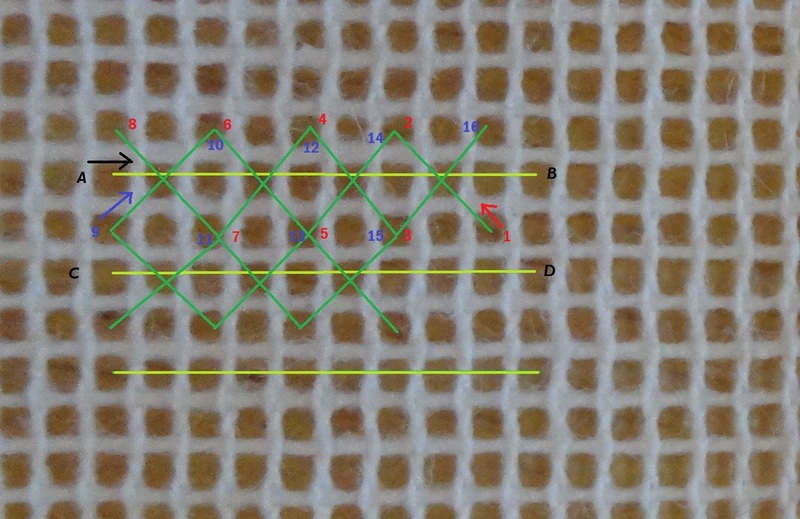 The Mosaic Checker in the book is shown with 2 contracting colors. Greek stitch (p 270) in the Needlepoint Book works very nicely as well. I have done one part horizontal and the other vertical which would work well for different parts of the dogs body. Also you can do it diagonally for another variation. This is shown on p 270. 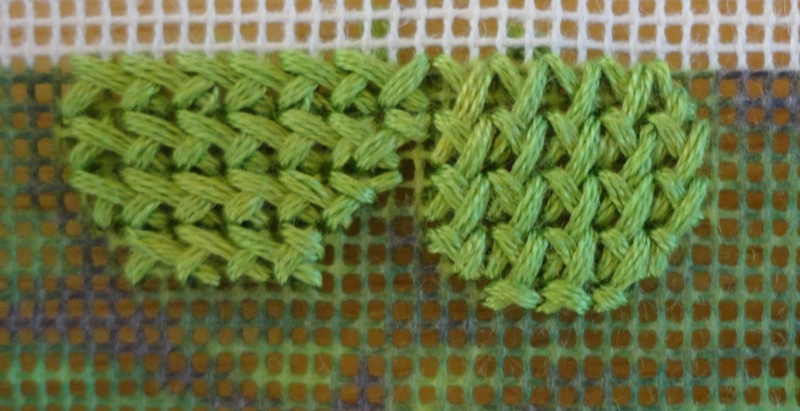 And, two different tone of thread could be used here. And, finally a 2 tone padded cross stitch. This is one that I came up with and a diagram is attached.